There was a chance of rain in the forecast today, so we did the Metro Rail Tour East. 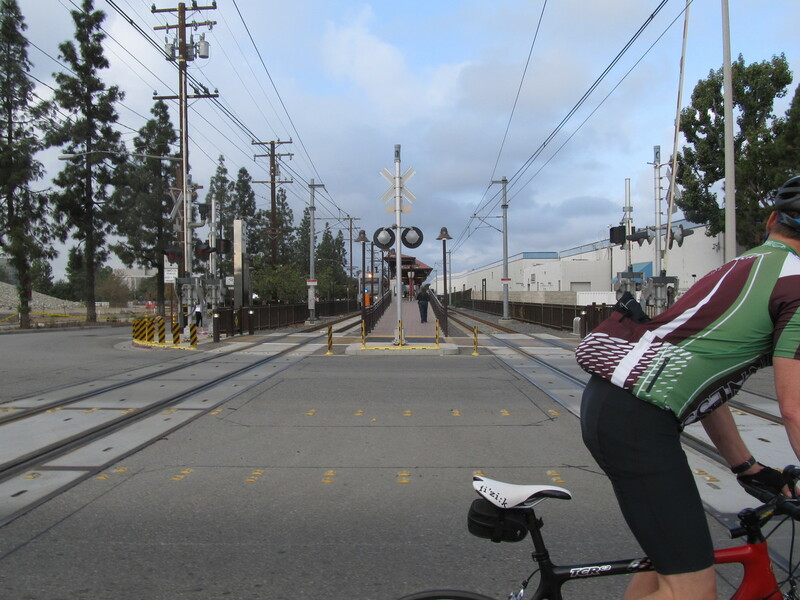 This is the ride to Glendora and back where the route is never more than two miles from the nearest Metro Rail station. That way, we have a bailout option if it starts to rain. On the way out, I saw something I’d wondered about for some time. A couple years ago, we’d gone to see the dedication and open house at the Metro Gold Line Operations Campus in Monrovia. That day, they had one of the new train cars on display there. It was number 1003, and since then, Carla and I have been looking for it on the Gold Line. 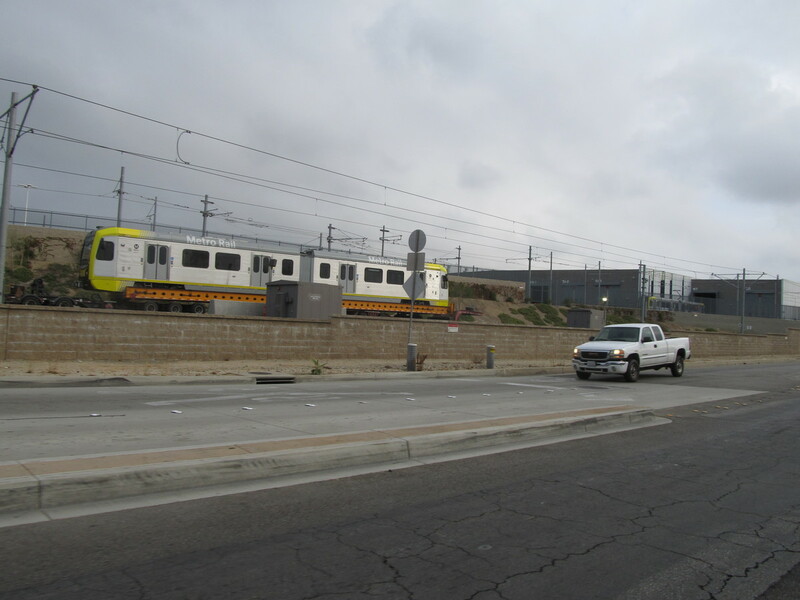 We never did see it, but one time when we were riding in West L.A., we saw it on the Expo Line. Since those two rail lines do not currently connect with each other, we were wondering how they got it there. And today, we got the answer. There was a train car sitting up on top of a long truck trailer, ready to be moved. Another mystery of the universe, solved. The rest of the ride was pretty uneventful. We had snacks at Classic Coffee in Glendora. And it never did rain on us. But it’s always good to have a plan to escape when that might happen.